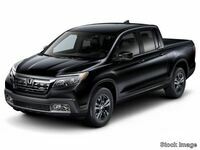 Another of the many new Honda releases scheduled for this year is the 2019 Honda Ridgeline pickup truck, out now! Along with the Ridgeline, there's also the 2019 Honda Odyssey, the 2019 Honda Fit, and many more upcoming 2019 Honda models such as the upcoming 2019 Honda Accord! However, for today, let's get back to the 2019 Honda Ridgeline. The 2019 Honda Ridgeline is now out! Depending on where you are in the country, that means your local Honda dealership might already have the new Ridgeline in stock! 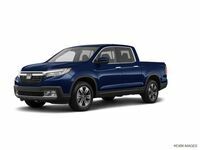 With its release, the 2019 Honda Ridgeline now has all of the data on its specs and features available. We're here to take you through these details. So, let's find out how the 2019 Honda Ridgeline has improved! Find Your 2019 Honda Ridgeline Match! 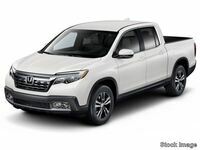 When Can I Get the 2019 Honda Ridgeline? Like many pickup trucks, the 2019 Honda Ridgeline also comes with many different trim levels and options concerning its cab-style and powertrain. Learn about them all here at the Rossi Honda dealership! Our sales team can answer any questions you might have about the new 2019 Honda Ridgeline and those interested can even schedule a test drive with any Honda model in our inventory! Find power, comfort, and class with the 2019 Honda Ridgeline!